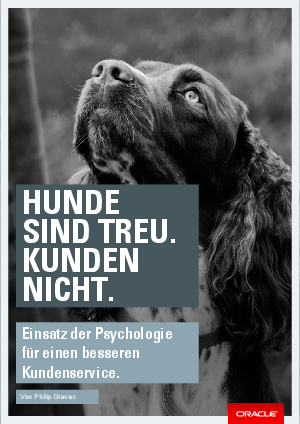 > Research Library > Oracle > Hunde Sind Treu. Kunden Nicht. Customer-service leaders have a key role to play in defining the brand. However, to deliver on that role, they need to recognize the importance of creativity in what they do: customer service requires design.